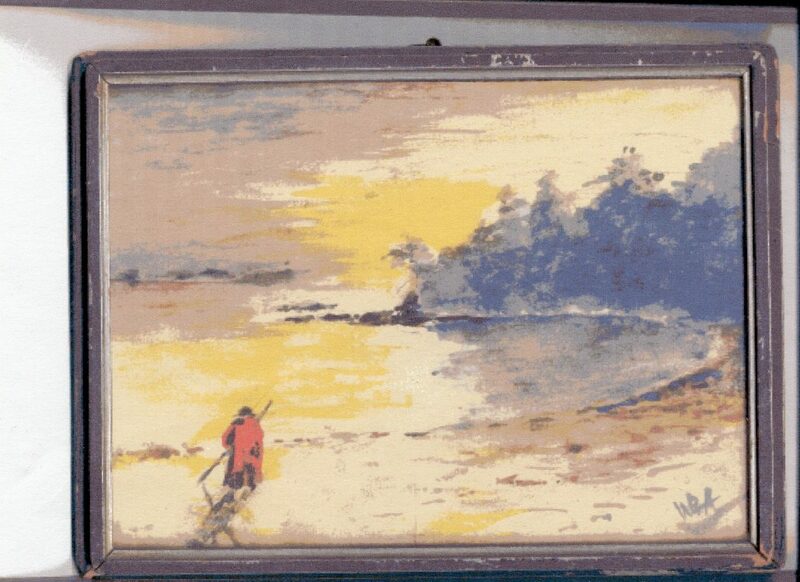 This painting was done by Alexander Caulfield Anderson’s son, Walter Birnie Anderson, who was a member of the B.C. Police in the Comox area. In following up another story, I discovered this one on “Indian Mounds” on a river that was supposed to be called the Deschutes, or “Falls River.” This river was supposed to be in Oregon, but it seems that some historians connected, or tried to connect, this story to the Deschutes River in Washington, just south of Fort Nisqually. Mr. Editor. Mr Henry R. Schoolcraft, the well known writer on Indian languages, manners and antiquities, who is now engaged under the authority of the Department of the Interior in preparing a great national work on these subjects, has lately written to me making enquiries as to the existence of any mounds or earthworks in Oregon, and more especially some that have been reported to exist on a river supposed to be the Deschutes or Fall River…. These were described as “certain large earthworks” on the east fork of a river apparently named Onalaskala. Supposedly Peter Skene Ogden had explored the sources of the Deschutes some years ago, “and can tell, if anyone can, about the mounds.” So having Peter Skene Ogden’s Snake Country Journals on hand, I looked for the Deschutes River, and found lots of mentions. It appears he was on the river in 1825-1826, and his Deschutes, or Falls, River was in Deschutes, Jefferson, Klamath, Sherman and Wasco Counties in Oregon, and not in Washington. Friday 9th [December 1825]. We started early and our route as usual over a hilly country for eight mies when we reach Mr. [Finan] McDonald’s Camp on the banks of the Falls River, a fine large Stream…. Its interesting that Finan McDonald is there too. On January 11th Ogden left the river of the falls (with Finan McDonald’s trapping party) and ascended John Day’s River (“a fine large stream”) toward the Snake River country. In July 1826 Ogden re-crossed the mountains that separated John Day’s River from the Falls River, and on Thursday 6th was back on the main stream of Falls River. 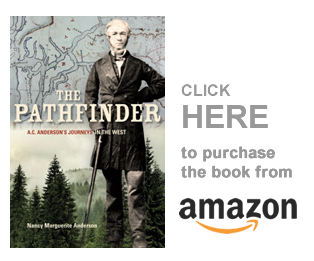 On the 7th he crossed the Cascade Mountains and camped at McKay’s Nole [Knoll], and on Saturday 8th his party camped on the shores of the Upper Willamette River at Burnt (or Burnt River) Encampment. His party reached Fort Vancouver a little after sunset on July 17th. In his journal he mentioned no large earthworks nor Indian mounds, but it is possible they are mentioned in his report to Governor Simpson in Merk, Fur Trade and Empire. Ogden was back on the Deschutes and the Little Deschutes Rivers in late 1826, but at no point can I find that he writes of “Indian mounds” on the Falls River. It is possible that I missed them, of course, as I read all this quickly, and I certainly do not have a good idea of the geography down in that part of the world. So if you find mention of them, let me know. 7th & 8th [July]. Preparing to join the surveying party with 3 Boats. On the 9th left with Lieutenant Budd & passenger Midshipman [Henry] Eld for the falls on the Shutes River. Mr. Anderson accompanied me intending to visit the Bute Prairies for the purpose of examining them. Sent the horses round to meet us. By the stupidity of the guide (an Indian boy) we took the wrong arm and after a long and fatiguing pull to its head returned & encamped. The Bute Prairie was sometimes called the “Mound Prairie,” and the HBC men often visited it, raiding the mounds for their good soil which they carried back to the farm at Fort Nisqually. The arm which they mistakenly ascended is now named Eld Inlet after Midshipman Henry Eld, and locally was often called Mud Bay. And by the way, I am editing this journal for clarity: it seems that Wilkes was averse to using commas or periods to separate ideas and sentences. It can make for very confusing reading at times. An early start on the 10th [July] brought us to [the] falls by 11 o’clock. The weather had become disagreeable with rain showers. We found the horses had been waiting for us all the morning. This Arm is of about 9 miles deep and the Shutes River (or more properly creek) falls with its head down a fall of some 65 feet in height. It is here about 10 feet wide and 2 feet deep, it forms a basin of 50 feet diameter at its foot from which the land rises and makes a cool pleasant retreat in summer. The bubbling of the cascade is agreeable. After forming our encampment & discharging the Boats I dispatched Lieutenant Budd & Midshipman Eld to begin the Survey. The head of this Inlet or arm is very shoal for some distance (1/2 miles) from its head & has an extensive mud flat with a channel of 20 to 30 feet in width with water enough for a boat at low water. Mr. Anderson & myself took our horses and several of the men with shovels & pickaxes & started for the prairie which we reached about 5 o’clock having had a thorough drenching from the rain, more by coming in contact with the wet bushes than the falling rain. The path is an Indian trail & everywhere overgrown with alders &c from 12 to 15 feet high. Pitched our tents & made fires & then chose the Butes that we desired to open, 3 of which were dug into. They are composed of alluvial soil apparently by the soil being brought together, and are remarkably rich of a mellow black mould. Their dimensions are generally 15 feet in diameter, and six feet above the gravelly soil — about one might be placed between every four thus [there is a drawing of five mounds, found in the published Narrative, Volume IV., page 415]. The whole prairie is covered with them, almost all perfect in their form. The subsoil is a hard reddish gravel. The hole was dug directly in the centre about 4 feet in diameter and continued until the subsoil was reached, on which we found in all a pavement laid of paving stones such as on streets. No kinds of articles, bones, or anything was found in them — This is the case in many parts of the country, the Indians have no tradition respecting them whatever. Having finished our examination, I determined to return to my party at the falls, and accordingly parted with my friend Mr. A, who intended to return to Nisqually. It was my intention of getting some angles on Mt. Rainier from this position but the weather only enabled me to get my Latitude & Longitude — the Horizon being obscured with clouds & my time was too precious to wait a day for the opportunity — never had a more disagreeable & wet ride and was heartily glad to get before a large camp fire, with my party around me. At the time I asked how tall kames were: these supposed kames at Mound Prairie are six feet tall. But there is a problem with my theory: no one but me seems to think that these mounds are kames, and all of the people who write on this subject are far more expert than I am on the subject. But I re-learned that the proper name for these mounds: the Mima Mounds, and information on Washington’s Mima Mounds are found here: http://www.dnr.wa.gov/MimaMounds This link also gives you a very good image of the Mima Mounds that Anderson and Wilkes dug into. Further searching on this subject told me that the Mima Mounds mystery was solved (in 2013) — they were created by gophers!! http://www.livescience.com/41693-mima-mound-mystery-explained.html Then in December 2014, the Huffington Post published an article on the “Latest Theory on How those Mysterious Mima Mounds Were Created,” here: http://www.huffingtonpost.com/2014/06/24/mima-mounds-plants_n_5525152.html There is a scientific article mentioned here, published in a journal I do not have access to. But it appears that no expert even begins to think these are kames! Gophers, or plants in raised gardens, or maybe something else — Remember that in 1841, Wilkes did say that the Medicine Men were in the habit of gathering herbs from them: that last explanation might be the best of all. Someday the mystery will be solved. Oh, and by the way if you think I am embarrassed by finding out I am incorrect in my theories — I am not. Its always fun to follow new stories wherever they may lead, and its always good to research your subject, and to know whether or not your theory is right, or wrong.